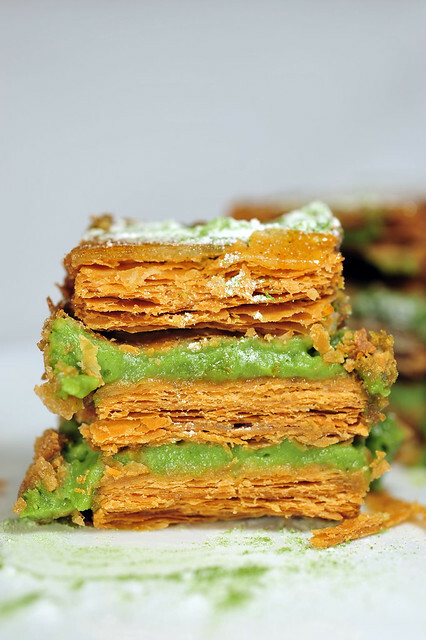 He opened his first pastry workshop-kitchen in 1998, supplying French restaurants and hotels, and was brought to attention with his stints to make pastries and desserts for fashion shows to top Japanese designers like Yamamoto and Kenzo, when he stunned the French culinary scene with his Japanese-inspired creations, boldly using matcha, yuzu, adzuki, kurogome and infusing wagashi making elements into his french pastries. 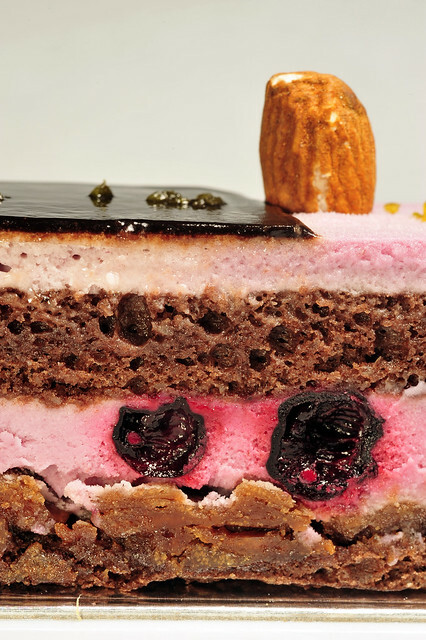 He started his first dessert boutique in 2001 on the 6th arrondissement, Paris and it has been no stopping since, with the latest in Grand Formosa Regent, Taipei, which we visited last spring. Dropping our bags immediately after returning from Taichung, we started making our way down to the boutique located at the basement of the hotel. The Zhongshan district is a prime area in Taipei, much like Omotesando in Tokyo, lined with fashion flagship stores from renowned brands like Prada, Gucci etc. The basement of the hotel was quite a maze and to make things worse, we went down from the wrong entrance on the opposite side, making the walk even longer, stopping by the concierge for directions. Alas we finally found the place. Gosh, its just like how I’d anticipated… Charlie walking into Willie Wonker’s Chocolate Factory! And chocolates there were! 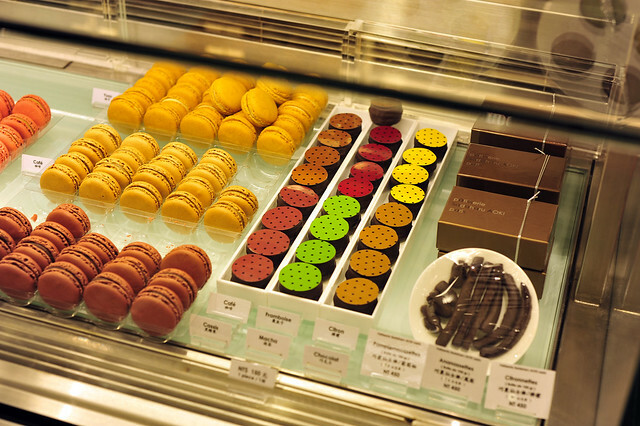 Together witha wide range of delectable pastries and macarons in almost every imaginable flavour! Photos were not allowed in the boutique actually, but after expressing our intentions, the store manager consented to “just a few quick shots”. We bought a few pieces to go along, out of gratitude of course! On the very next day, we went down to Bellavita located in the Xinyi district where Sadaharu’s first Salon de Thé was located. Unlike the outlet in Formosa Regent which had its individual shop space, the joint at Bellavita was basically “pseudo al fresco” with the basement floor space cordoned off and compartmentalised to house several joints. 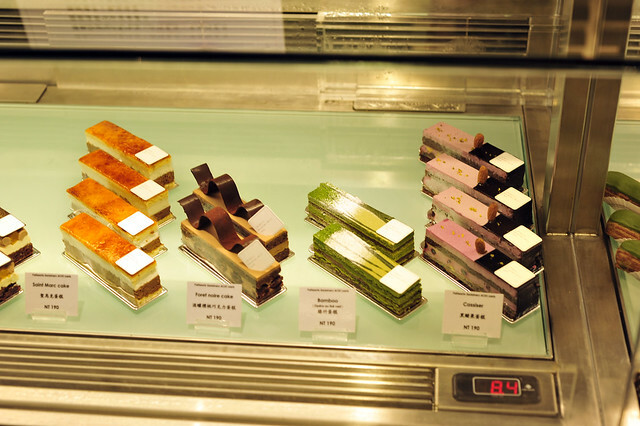 There was a cafe, a gourmet food shop, an gelato parlour amongst others, and of course, pâtisserie Sadaharu AOKI. 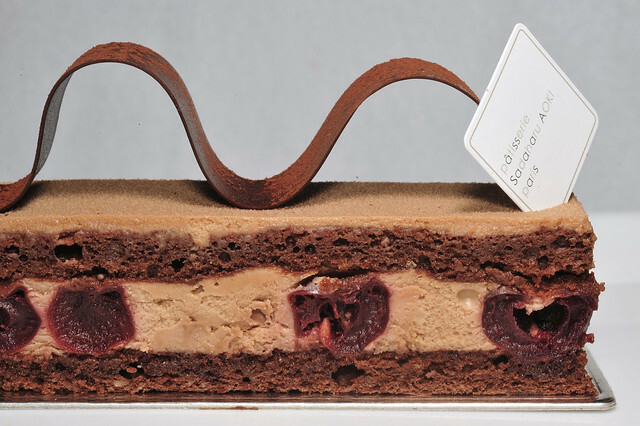 Sliced entremets chilled at 8.4C to preserve the integrity of the creations. 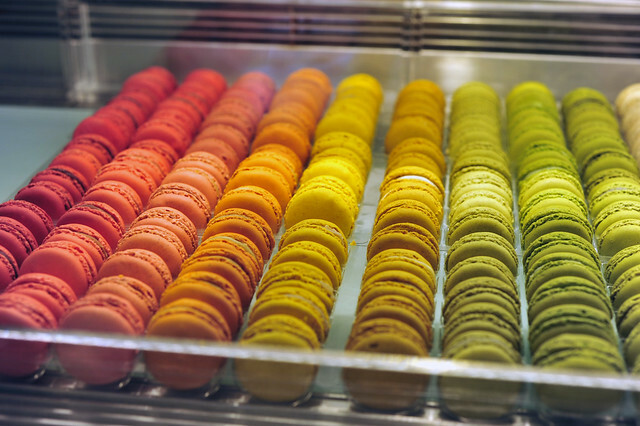 And of course, there will be lotsa macarons as well! 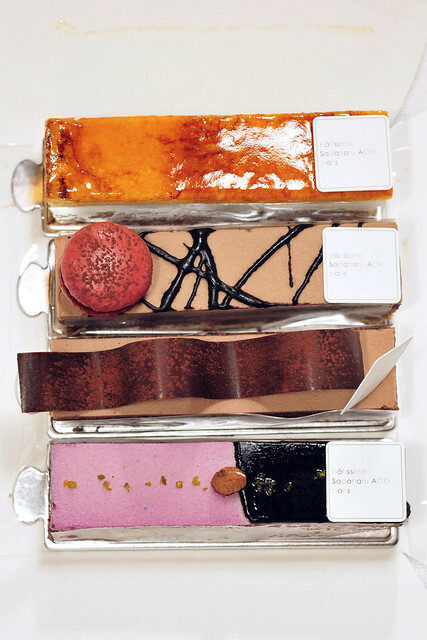 Throughout our week-long stay in Taiwan, we’d made no less than 5 trips to the two boutiques, picking up pastries and chatting with the managers and pastry chefs, while juxtaposing between other dessert places and cafes. It was quite an experience for us! 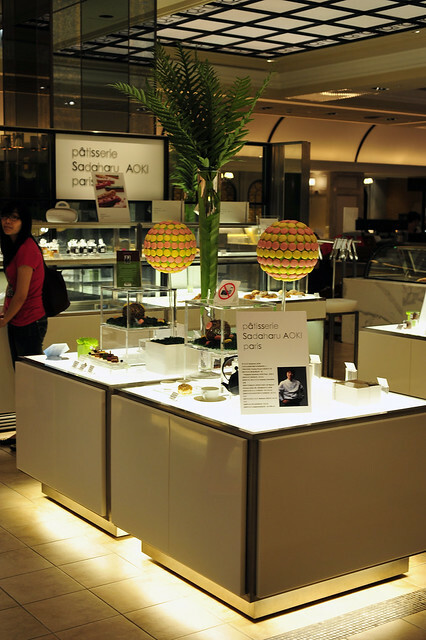 So if you would allow me to indulge, let me bring you on a journey through some of the works of Sadaharu Aoki and hopefully, it would entice you to pack your bags, hop on a plane and go try them yourselves! 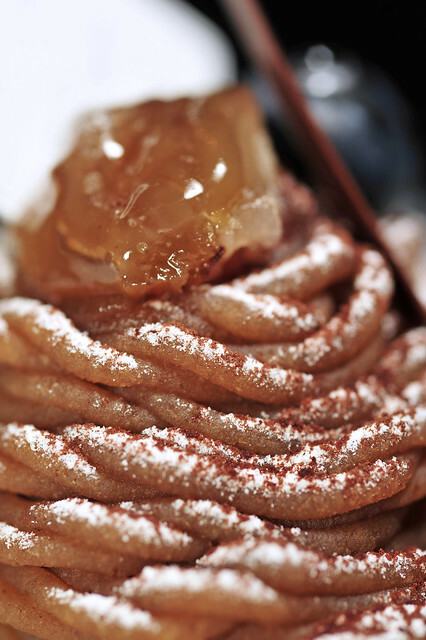 This entry was posted on March 14, 2012 by Alan (travellingfoodies). 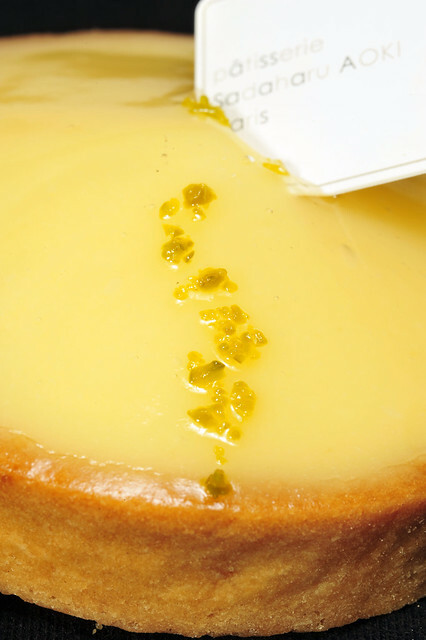 It was filed under Food, Travel and was tagged with カシス・ショコラ, サンマルク, マロン フリュイ ルージュ, Bamboo, bellavita, bonbons, Bonbons Maquillage, Cassis Chocolat, Chocolat praline, chocorons, Choux à la crème, 青木定治, Foret Noire, formosa regent, macarons, Mille-feuille à la the vert, Millefeuille à la matcha, Opéra au thé vert, pâtisserie Sadaharu AOKI paris, Saint Marc, Taipei, Tarte au Citron, Tarte Caramel Salé, Tarte marrons fruits rouges, Trio, Valencia. Yeah! Most of them are really delicious indeed! ah… nice! I didn’t get a chance to try the eclairs cos they are always sold out. 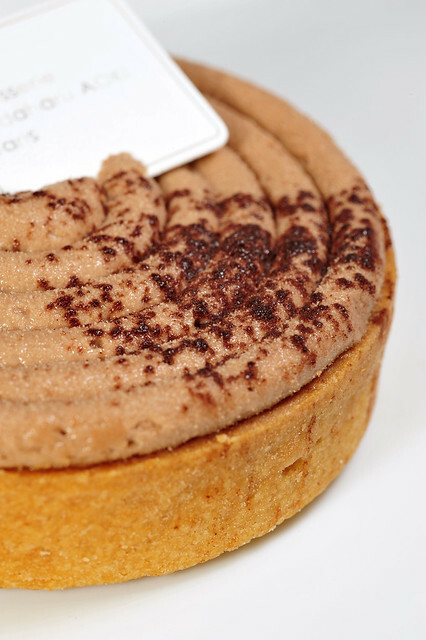 We did get to try the Choux a la creme though… the absolute “bestest” I’d tried so far! Hope one day i am able to try out this ! All look absolutely tempting! Haha yes you should Sonia. And dont forget to let me know if you like them! 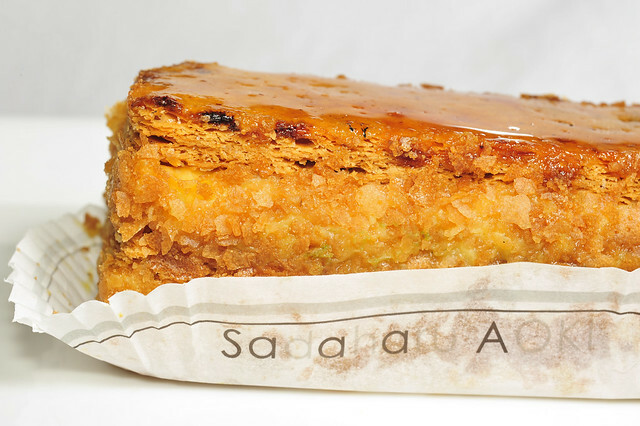 Omg..how am i going to fit AALLLLL the cakes during the trip… !! can’t wait to go Taipei in Oct… will u be uploading any itineraries ?? i’m absolutely clueless. what are those bonbons actually? 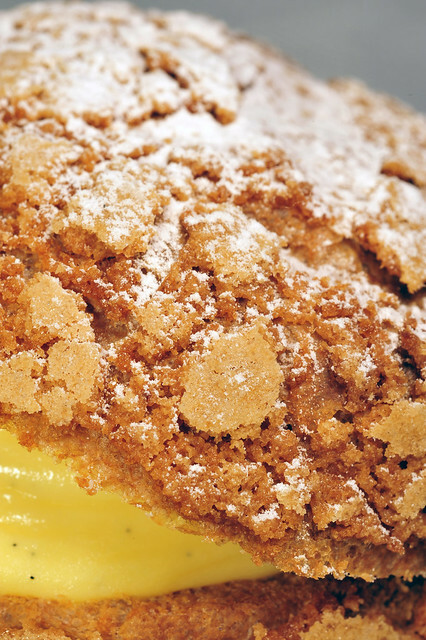 sponge based or pastry like? 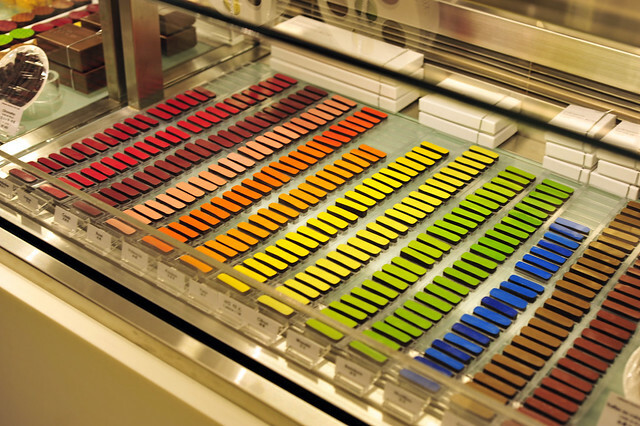 it looks like those palette of blusher colours that we see at the cosmetic counter! 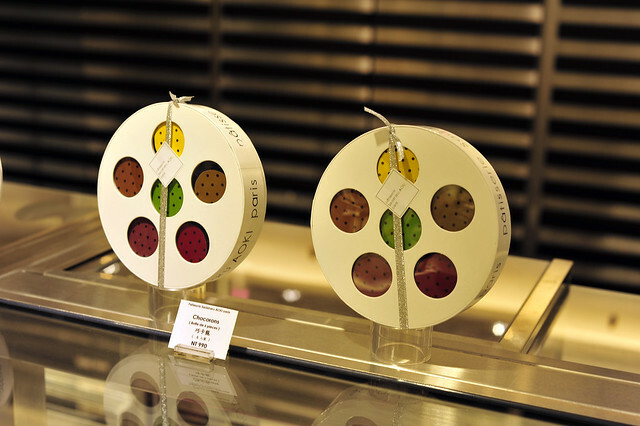 Lena, bonbons are chocolates and indeed, they are designed to look like blusher palettes! macquillage means make up in french! Hi there! 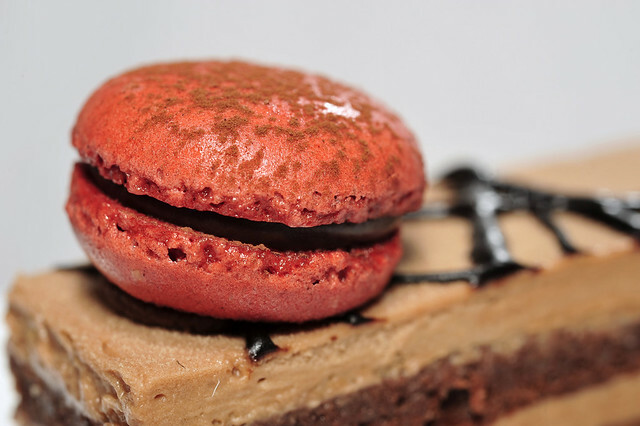 Chocorons are macarons encased in chocolate! Hi, wanna ask for my upcoming trip to Taipei. 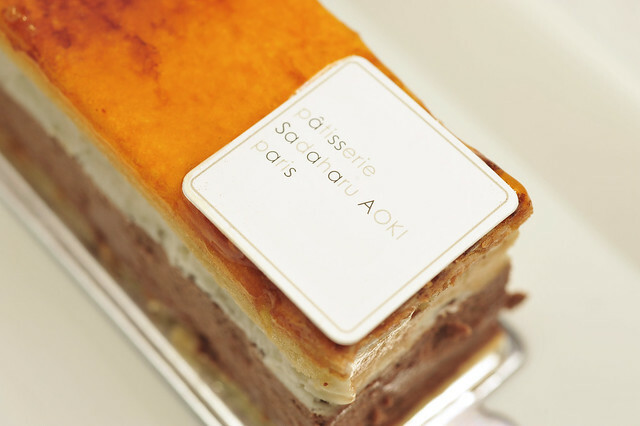 What are the other Paris/Europe originated patisseries apart from Sadaharu Aoki featured here have outlets in Taipei to savour? Appreciate your help. 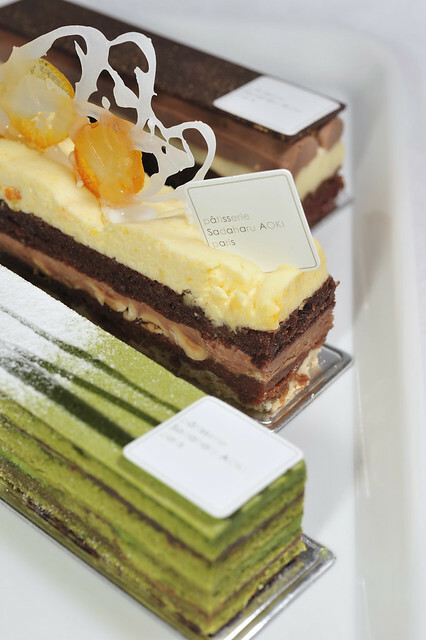 hI adel, there is Jean Paul Hevin, also located in Formosa Regent Hotel. 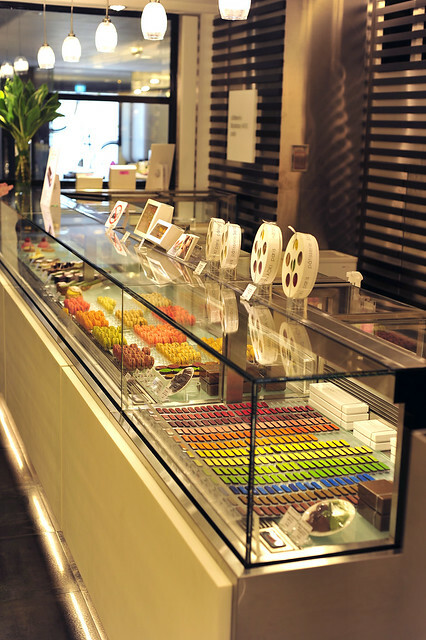 They carry a selection of his chocolates and macarons. 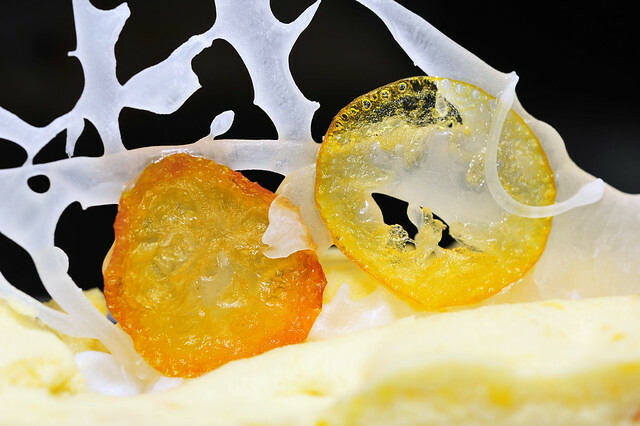 In Bellavita, there is Joel Robuchon as well. 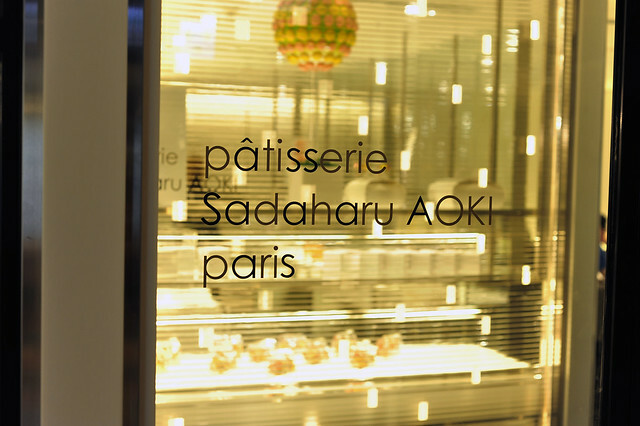 His selection of pastries are in the the Salon located on the 3rd floor while Aoki is at the basement.